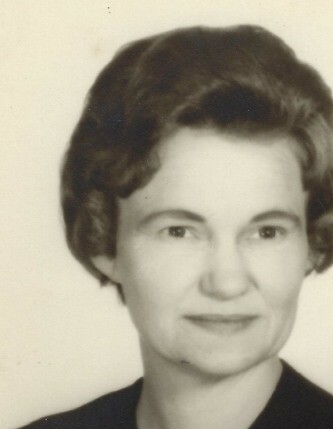 Obituary for Dee (Hunnicutt) Byrd | Dixon Funeral Home, Inc.
Dee Byrd, 87 of Sweeny passed away on Sunday, January 27, 2019 in Sweeny, TX. She was born on April 9, 1931 in Navarro, TX to Manliss M. Hunnicutt and Lola Mae Hunnicutt. She was former owner of Wyatt’s Grocery in Sargent, TX. She loved sewing, knitting, crocheting and reading. She was preceded in death by her father, Manliss M. Hunnicutt; mother, Lola Mae Largent; brothers, Barney Hunnicutt and Jack Hunnicutt; sister, Katie Mann and great grandson, Kyle Dewayne Keith. She leaves to cherish her loving memories; son, Joseph Eugene Mann and wife Debbie of Angleton; daughters, Shirley Ward and Darlene Wyatt Thornsberry and husband Robert both of Sweeny; 6 grandchildren, 12 great grandchildren, 4 great great grandchildren and other relatives and friends.